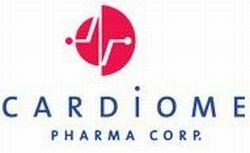 The shares of cardiome Pharma Corp (NASDAQ:CRME) are crashing big time today after the Canadian developer of cardiovascular therapies revealed the pricing of a new public offering of stock in an attempt to raise capital for some of its forthcoming milestone payments. As expected, the measure, which bears a 100% risk for future dilution, is now taking a real beating on the market value of the underlying stock. Less than an hour into today’s session, CRME is already down 43% to $3.01 per share with more than 1.9 million shares having changed hands thus far, or 43 times higher than average. Given that market close is still quite a few hours away, we can only guess how long CRME will remain in free fall mode. Yet, an intraday rebound does not seem likely in the light of the real scale of this offering. Speak of the devil, this secondary public offering aims to sell up to 11.5 million shares at $3.00 per share for total gross proceeds of $34.5 million. Ten million of these shares will reportedly be sold at the open market while the rest will exclusively be available to underwriters should they exercise their right to buy the stock within a 30-day period. Upon full execution of the stock offering, CRME‘s outstanding stock will shoot up from 20.3 million to 31.8 million, which equals to a 37% dilutive effect for current stockholders. Given that Cardiome’s last two fiscal years brought about net losses in excess of $42 million, there seems to be no room for an EPS talk just yet. The company’s leading drug candidate, the Brinavess, a novel agent for treating atrial fibbrilation, got the green light in Europe six years ago, and is currently on a Phase 3 trial in America, albeit this trial was put on hold by the FDA shortly after that. As of today, the drug still has not hit the shelves on American soil. Are Awesome Penny Stocks Making a Return Through The Pump of US Tungsten Corp. (OTCMKTS:USTU)? 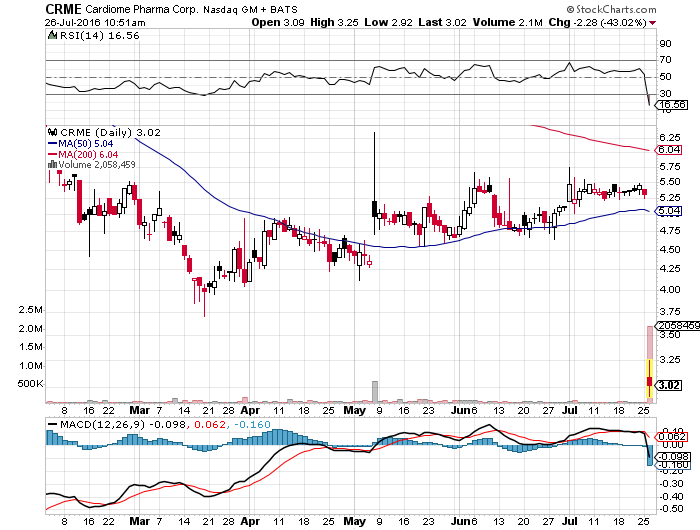 Next story Will Strikeforce Technologies Inc (OTCMKTS:SFOR) Keep Its Gains?